For mounting rear banana brake caliper. Stock fitment for FL/FX models 1973-80. Can also be used on custom applications and new constructions. 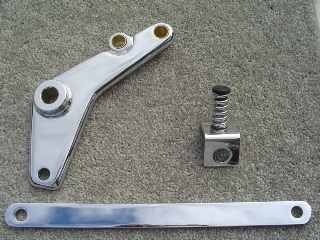 Kit includes caliper mounting bracket, brake anchor arm and caliper support spring.